Our client, Mr H, suffered a stroke after the Stroke Prevention Unit at Darent Valley Hospital failed to refer him for carotid ultrasound scan. Mr H attended his optician for an eye exam as he was suffering from visual disturbance and blackout of vision in the left eye. The optician wrote to his GP advising that he suspected Mr H may be experiencing amaurosis fugax (painless temporary loss of vision in one or both eyes). The GP referred Mr H to Darent Valley Hospital where he was seen in the Stroke Prevention Clinic (SPC) two months later. He was examined by a general physician, who reported “no major problems” but referred him for a CT scan. The scan revealed an ischaemic infarction (stroke) in the left posterior watershed region of the brain and in the left middle cerebral artery. It was recommended that Mr H start to take 75mg of Aspirin daily and he was referred for an MRI brain scan and 7-day cardiac monitor. He also booked a further review in the SPC. Two months later Mr H underwent an MRI scan. He also underwent a 7-day cardiac monitor. He was reviewed again by the general physician in the SPC a month later, who noted the results of the MRI and cardiac monitor. However, Mr H was discharged without further follow up.A month later Mr H sadly suffered another stroke. He was admitted to Darent Valley Hospital suffering from right sided weakness, confusion, dysphagia, expressive aphasia, and dysarthria. Thrombolysis was performed and a CT brain scan was done. The CT scan revealed acute infarctions (strokes) in the left parietal and temporal lobes. H was referred for an urgent carotid ultrasound Doppler scan. The scan identified significant stenosis (abnormal narrowing) to both the left and right carotid arteries with 70-80% blockages. Despite this, he was advised that he would be followed up in 6 weeks and discharged. Thankfully, his family were concerned and contacted Kings College Hospital directly, who advised urgent admission. He underwent a carotid endarterectomy (surgical procedure to remove a build-up of fatty deposits from the carotid artery) performed at Kings College Hospital. Jenny Waight acted for Mr H, who had suffered disability as a result of the stroke. He had difficulty with speech and weakness down the right side, which affected mobility and the use of his hand. He suffered with memory problems and became reliant on his wife to care for him. As time went on, he was admitted to hospital on numerous occasions due to sepsis. He also developed diabetes. Neurology expert evidence was obtained and it was alleged that the results of the initial CT scan warranted further investigation, by way of a carotid ultrasound scan. This should have been performed at the latest within a month. Had this been done, it would have revealed the significant stenosis of 70-80% in the claimant’s left carotid artery, which would have led to an urgent carotid endarterectomy which in turn would have avoided the further strokes. An admission of liability was obtained from the hospital trust. Further expert evidence was obtained in the fields of neurology, care, physiotherapy, speech and language therapy, accommodation, neuropsychiatry and neuropsychology, in order to assess Mr H’s long term needs. It was argued that Mr H required single story accommodation and has significant care needs as a result of his stroke. He will require a wheelchair in later years, and is already limited in his walking, requiring a stick or zimmer frame. However, the defendant argued that, despite his age and years since the stroke, he could make improvements and would not need significant care. A six figure out-of-court settlement was obtained to compensate Mr H and to provide for his future needs. 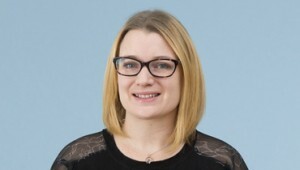 Jenny Waight specialises in cases involving brain injury. If you would like to ask a question about a potential case, or if you have a general query about clinical negligence, contact Jenny at Thomson Snell & Passmore solicitors on 01892 701374 in confidence.